We are manufacturing and import the grinding wheel products from universal market in competitive price. 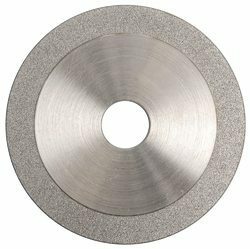 We have maintaining the entire ranges of grinding wheel products. Our organization provides a superior range of Pedestal Grinding Wheels to our clients at industry leading prices. We also provide Grinding Wheels (Type 27) Depressed Center wheels Reinforced with Glass Fibre Disc (GFDs) for additional safety. This operation is off-hand and rough. We also provide customized solution to our clients as per their requirement. Grinding Wheels (Type 27) Depressed Center wheelsRe-inforced with Glass Fibre Disc (GFDs) for additional safety. This operation is off-hand and rough. Therefore it call for higher safety measure. GFDs play a very precise role in this area of operational safety. An important constituent of the Compass Brand family, these wheels have been pre-engineered for economy and performance. 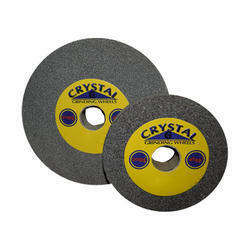 Being the well-distinguished companies in the market, we are into offering Pedestal Grinding Wheel. Grindwell Norton offers Offhand Wheels under the 'Compass'/ brand name; assuring you of the best performance at the best price. The Snagging wheels designed for Pedestal Grinding Wheel comes in the full range for Grinding Various work material, these wheels are designed for giving wheel life while maintaining good cutting action. We are one of the leading manufacturers and suppliers of Pedestal Grinding Wheel in Coimbatore, Tamilnadu, kerala, raipur, hydrabad, gujarat, jaipur, rajkot.